"Delicious and insane as its predecessor....The plot may be twisty and scintillating, but its Kepnes' wit and style that keep you coming back." "[A] clever, canny and creepy tale that’s every bit as delectable as YOU. Caroline Kepnes is my latest obsession." "You will need this book. Caroline Kepnes just became my new favorite writer." "With its scathing social satire and loathsome yet strangely charming leading man, Kepnes' sophomore effort is well worth the read." "The story reads like the love child of Holden Caulfield and Patrick Bateman but without the gore and misogyny, which means nothing stands in the way of the reader enjoying Joe’s cynical, murderous charm. 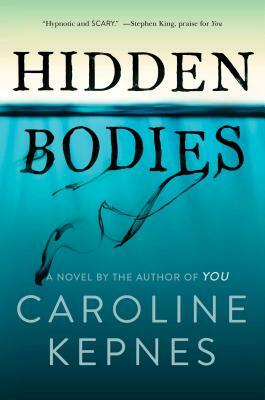 Though it is a sequel to You (2014), Hidden Bodies may be even better on its own."